The earliest recorded material from Frog Eyes’ archives, committed straight to tape (no mixing, no overdubs) in early 2001. 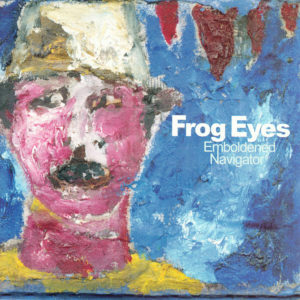 Features the classic Frog Eyes line-up of Carey Mercer, Melanie Campbell, Michael Rak and Spencer Krug. Echos of the The Fall, Pere Ubu, and The Birthday Party can be heard here (through steady murk and hiss).